CHANGE THE WAY THAT YOU EAT YOUR FISH. 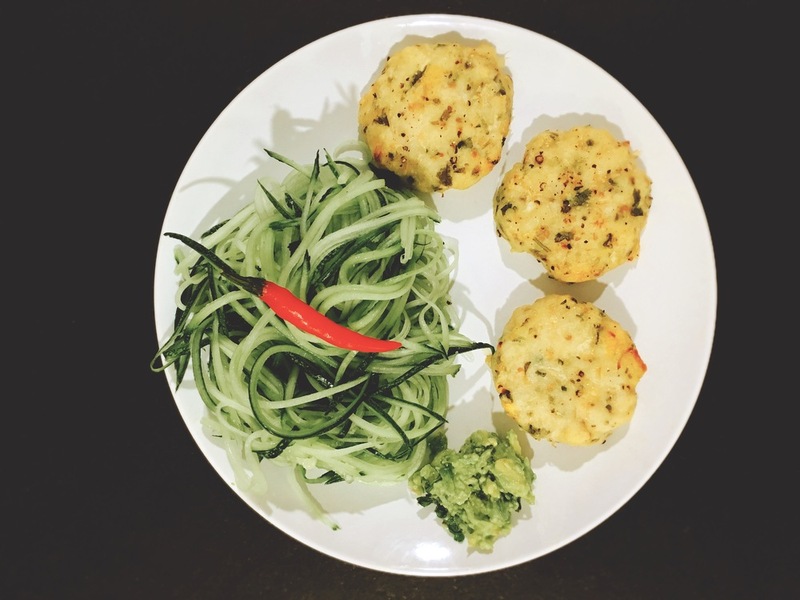 FOLLOW THIS RECIPE TO ENJOY A MORE THAN SATISFYING FISH BURGER WITH A ZEST! Put all the ingredients (except the onions) in the food processor. Hit the bottom a couple of times if you like to have some fish chunks or keep processing until it becomes a paste for a smoother texture. Mix in the onions with a spoon. Divide the mix into 3 and make the burgers. If the mix is too liquid, add a spoon of protein powder or psyllium husk. Bake at 180 degrees for 10 minutes each side or until it turns a golden brown colour. You can also cook them in a greased frying pan at medium heat. Enjoy them with fresh cucumber noodles (you can easily make them with a Julianne peeler).